All Signet Fiberglass doors exhibit our exclusive DuraFuse™ Finishing System featuring P³ Fusion, allowing us to offer an industry-best 10 Year Finish Warranty! A high-performance, composite material is utilized on all Signet fiberglass bottom rails giving excellent rot resistance. The 4 1/4″ finger-jointed 4-ply hardwood strike stile provides unparalleled strength. The 2 5/8″ finger-jointed 3-ply hardwood hinge stile provides superior structural integrity. 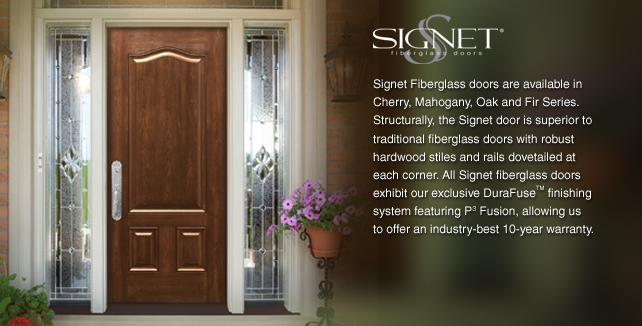 Signet fiberglass entry systems come standard with an anodized bronze threshold with complimentary riser. The inside door frame is hand-stained or painted to match your door providing you with a consistent visual appearance. Need a little more height or a little less width? 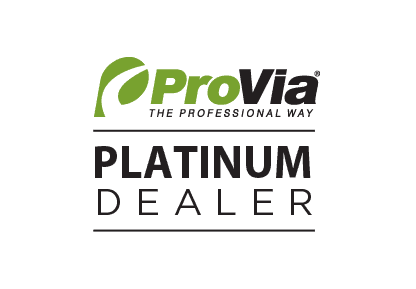 We offer customized door and sidelite widths and heights in 1/8″ increments. Your entry can be customized by ordering different styles and finishes on each side of your door!